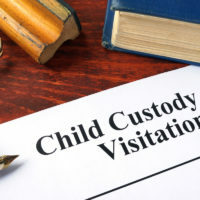 A story gained traction in the Texas news last month regarding interference with a child custody and visitation order. A San Antonio mother describes how she lost contact with her oldest son after he went to visit his father in California and never returned as he should have based on the parents’ child visitation schedule. Now, two years later, the mother’s younger son, age 13, hasn’t returned from California, and she has filed suit to enforce the legal order for child visitation and regain her relationship with her child. What Constitutes Child Custody & Visitation Interference in Texas? Child visitation interference occurs when a parent actively obstructs or disrupts the other parent’s allotted time with their child(ren). Title 5 of the Texas Family Code enables parents who are being denied child visitation (legally referred to as “possession and access” in Texas) to file a motion to enforce their rights that are being obstructed. Texas does include interference with parental rights in the state’s criminal laws, but a better way to proceed in this situation is a suit to enforce the court order. Judges like for their orders to be obeyed and can hold a person in contempt of court for failing to adhere to an order. A person found to be in contempt of court faces, jail, fines, and other sanctions. Because enforcement is a highly technical pleading, it is not a good time to represent yourself. Cases get thrown out all the time because of a defect in the petition, even when the judge wants to hold the obstructing parent in contempt. You need a strong family law attorney with experience handling enforcements successfully. For more information about your rights and options regarding child visitation and enforcement in Texas, please contact the Law Office of Maria S. Lowry in Houston.